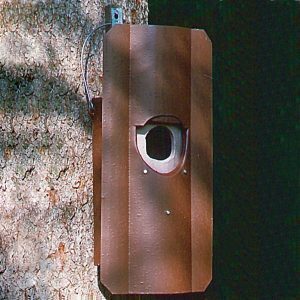 This innovative nesting box has been developed on the basis of our other Little Owl Boxes which have been very successfully used for many decades. 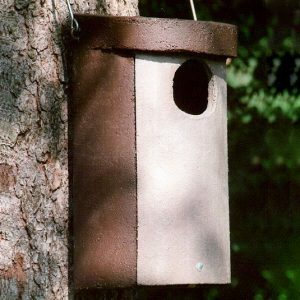 Also, this designed is very popular with Little Owls as well as human users due to large, removable entrance section (good access e.g. during inspection, ringing, etc.). 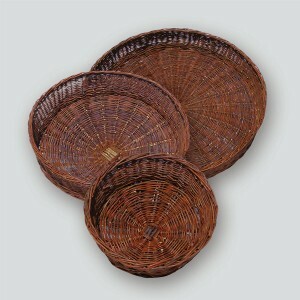 Supplied with clamping band and Aluminium Nails for fixing onto horizontal branches. 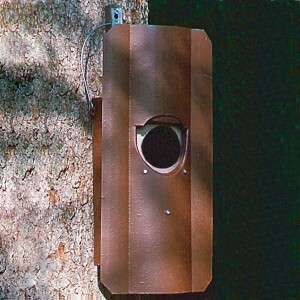 Protection against Martens: Martens are prevented from entering this box by the two offset entrance holes. 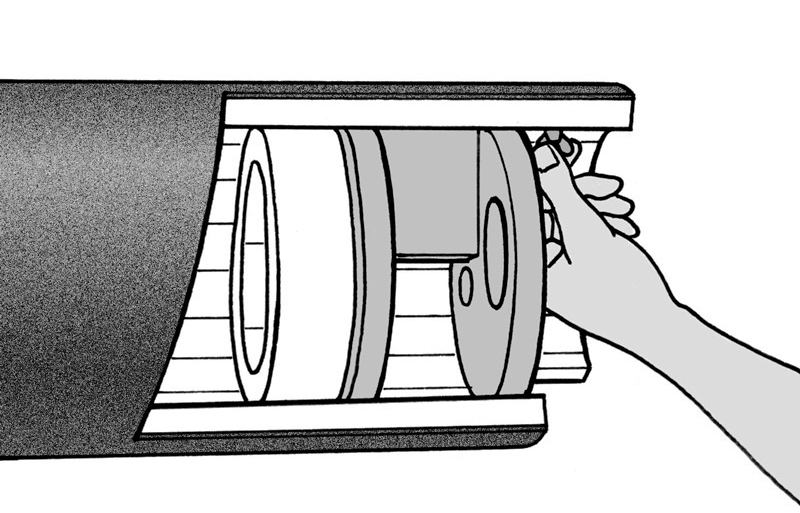 Forced ventilation: The unique, forced ventilation system which is built into the end of the box enables stale air to be replaced without causing a draught (Fig. 2). This system also ensures that no light can enter the box. 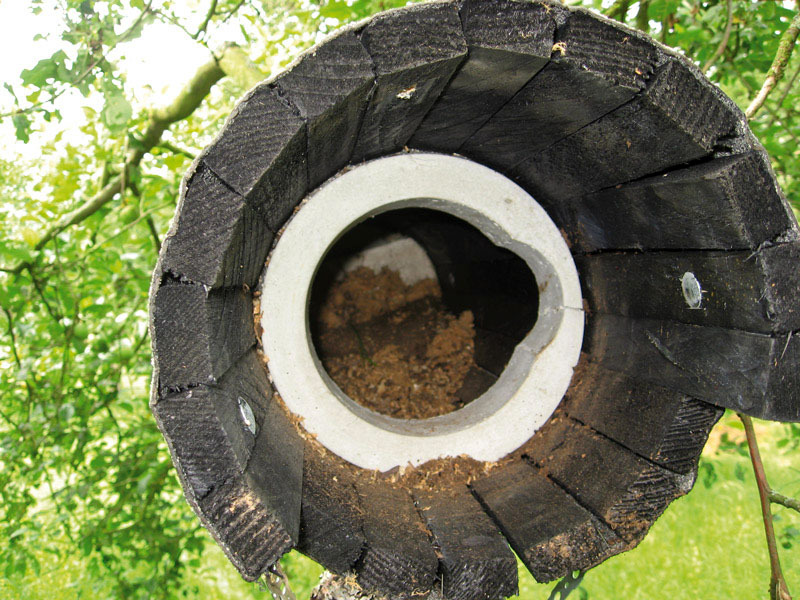 The amount of droppings and the resulting moisture, which can otherwise adversely affect the successful survival of the brood, is substantially reduced. 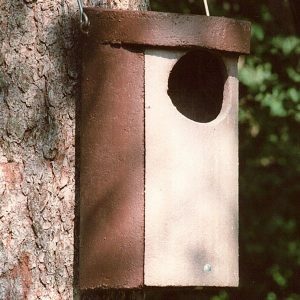 Cleaning and inspection: The entrance section can be ­completely removed, making it easier to clean and inspect the box from the front.